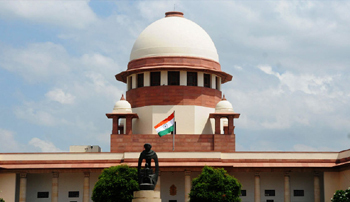 New Delhi, Apr 16, 2019: The Supreme Court on Tuesday admitted a plea filed by a Muslim couple, seeking a direction to allow entry of women in mosques. The apex court cited the landmark verdict of Constitution Bench in Sabarimala temple case while accepting the petition filed by the Pune-based couple. An SC bench headed by Justice SA Bobde said that since the top court had already passed a judgment in Sabarimala case, it will now examine this petition as well. During the hearing, the SC bench also asked the lawyer of petitioners whether fundamental rights can be asserted against individuals and non-State subjects as well. “Is a mosque or a temple or a church State? Can you seek your fundamental right against individuals? When entity concerned is not a State, can we issue directions? Can we ask police to help you if you want to enter somebody’s house?” questioned the bench. The SC also issued notices to the Centre, All India Muslim Personal Law Board, Central Wakf Council etc and directed them to file their replies in four weeks. "The act of prohibition of females from entering mosque is void and unconstitutional as such practices are not only repugnant to the basic dignity of a woman as an individual but also violate the fundamental rights guaranteed under Articles 14, 15, 21 and 25 of the Constitution," petitioners Yasmeen and Zuber Ahmad Peerzade said in their joint plea. The couple submitted before the court that no records are available in favour of the argument that the entry of women in mosques to offer prayers is prohibited by either Holy Quran or Prophet Muhammad. They argued that just like men women also have the constitutional rights to enter inside mosques and offer their prayers. It is interesting to note that women are Jamaat-e-Islami and Mujahid denominations of Islam allow women to offer prayers at mosques but the Sunni faction does not allow the entry of women inside mosques. The petitioners also alleged that in some mosques where women are allowed, there are separate entrances for them, which is a clear cut case of discrimination.